Reservations: Parties of 8+ please call ahead, otherwise, the policy is first come first served. 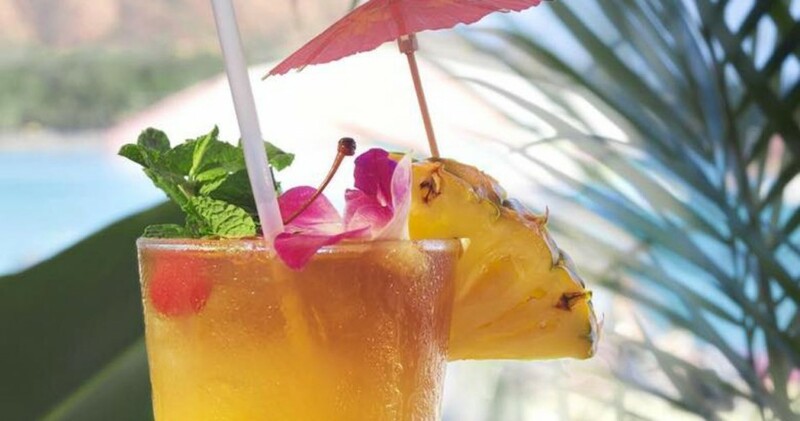 The team behind Bangkok Happy Bowl bring fresh and flavorful Hawaiian cuisine to Breckenridge, along with a slew of delicious tropical drinks served in a fun and friendly environment. Whether it’s 80 degrees out or -8, you’ll be sure to immediately slip into vacation mode after a few Mai Tais and a fresh Poke Bowl. Local’s Tip: Tiki Mana is tucked into the bottom floor of River Mountain Lodge, however, it’s actually just steps from the center of town and Main Street…a true hidden gem in Breck! Click here for a walking map from the center of town. -$5 Apps, including Spicy Lava Edamame, Coconut Shrimp, Lava Wings, Tiki Poppers, and Chips & Salsa. Sample Tropical Drink Menu: Frozen Tropical Margaritas, Rum Runners, Scorpion Bowls, Blue Mermaids, Painkillers, and more!